Goodness gracious I can't believe it's already Thursday and I'm posting up another Marriage, Love and Fun feature. This week is going by so fast! Today you get to hear from Elizabeth from over at Sattvic Family. She has a great little blog where she writes about her family adventures, lifestyle and fashions. It's a perfect combination for a blogger and so reading her post area always enjoyable. She's got some insightful thoughts on her experience in marriage and I especially like what she had to say about common interests with our spouses. But I won't spoil the read. Enjoy! 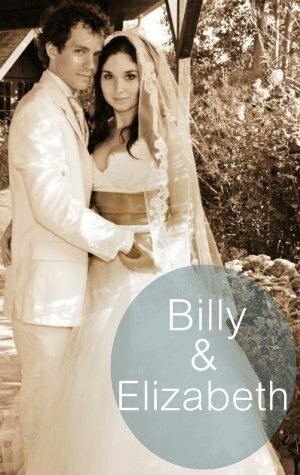 1) Tell us how you and Billy met. Billy and I met nearly 8 years ago, in the early morning hours of Valentine's Day. It was at a mutual friend's house; someone there was having a birthday party. The second I saw his bright eyes across the room, a part of me recognized him, and then I completely was smitten. We became boyfriend and girlfriend literally right away. It was honestly love at first site and very rare. I have no idea how I have such good luck and am SO grateful. To top it all off, he had a fortune cookie that week that said that week he would meet his true love. Insane. 2) What's been one or some of the unexpected challenges you were faced with at the beginning of your marriage? The major challenge in any relationship, in my opinion, is what the people are doing for work. This is the make or break point, in our opinion. If one has a job one detests, or is ALWAYS gone to work, then the entire family suffers. I also feel that the best job includes all family members or that makes all family members happy; I think working from home or starting a family business is the best way to go. We have fought much more when we have had financial troubles, and our relationship greatly suffered when Billy was at work 24/7 and I was at home, in an apartment, with a baby. My husband and I personally do better working and being together, as we have the same ideas for business and life and enjoy working together. At the same time, this can be frustrating, so the key is balance for your family. In today's society, there is a complete lack of sharing. I mean, families are pretty much disassembled and we have problems relating to our family members, let alone our neighbours or fellow human beings. It is a huge dilema that we MUST overcome. We find that sharing interests helps us a lot. If we have our own separate cultures ( ie Billy hockey and me vintage clothes and philosophy) we get separated. Instead, we focus on how we can relate with each other. I find things I enjoy about hockey, or just enjoy how happy it makes him. And he honestly has a great eye for fashion. Also, we share household duties, which makes me stay sane!! He is the best co parent ever. 3.) Now for the good stuff, how do you keep the romance alive in your marriage? Ah, romance. LOL! The key to romance is flowers...ok well not completely, but still THEY ALWAYS HELP! Actually, my husband says flowers are his way of expressing creativity into something that is beautiful and shows how he feels about me. He does not buy prearranged flowers, but does them himself. It's really taking the time to show you admire and care about the other person that creates a romantic vibe. It's also nice to break the routine by doing something new or surprise the other person with say a gift or something sentimental. Women crave attention and men crave it as well, and showing him/her you care in little ways really adds up. Telling the person they look nice and by maybe dressing nice yourself to show them you 'want to look good for them' is nice, of course if not taken to an extreme. My husband says he could care less about how I look, and we value each other's innate gifts and souls. But it sometimes feels great to see him in a suit! 4) Any advice you want to give new couples? Our advice is to absolutely communicate a lot and put each other first (after God that is). I think having a faith in something greatly assists one's marriage, as long as the couple agree on it. I can't stress enough how having a good job and/or maybe working for oneself make a difference. A lot of arguing, substance abuse, and infidelity come from stress regarding a person's work. People become selfish if they are unhappy, and desperate. Also, help each other and really go out of your way to be a better person. Do date nights!!! Family comes before work and social life, in my book. Don't obsess with what society tells you and do what feels right for your relationship. If you'd like to be a guest writer for the in the Marriage, Love and Fun feature and get a free shout out for your blog e-mail me at teakipost@gmail.com. Thank you SO much for the interview hun! We adore your blog and appreciate the chance to let your readers know our perspectives on having a healthy marriage!! i love hearing others love stories and relationships. this is awesome. Elizabeth is such a doll! I like her blog, too -- she has really interesting stories! They are an adorable couple!